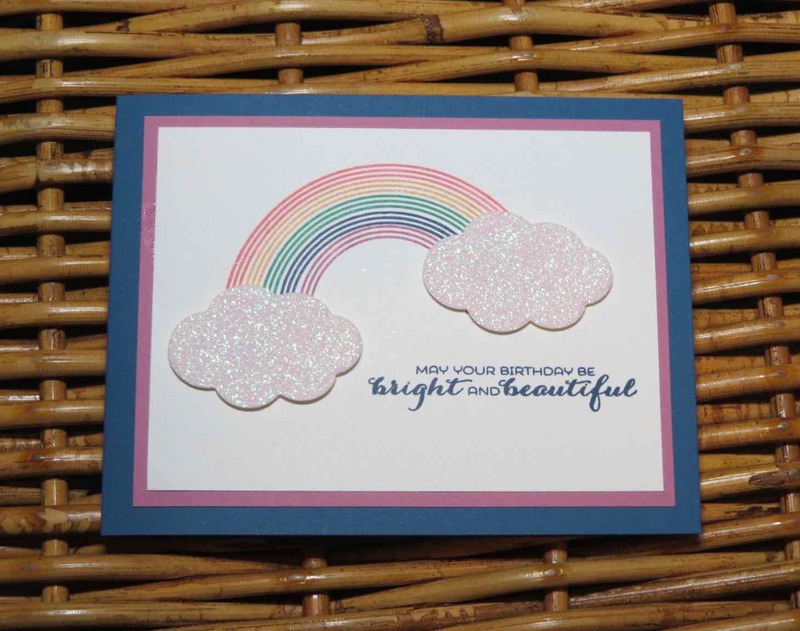 Karina's Kreations: Sunshine and Rainbows Bundle! 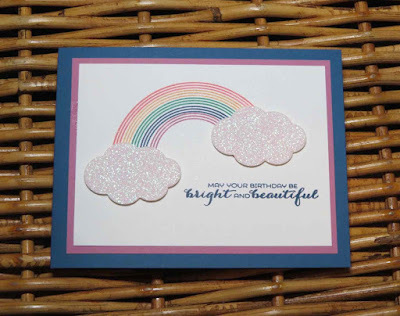 I'm still on my let's bring in spring theme and made a card with the Sunshine and Rainbow stamp set and Rainbow Builder Thinlit Dies. This is really easy to make and looks really cute. I used 5 of the retiring In-colors. Make sure you order Dapper Denim, Sweet Sugarplum, Flirty Flamingo, Peekaboo peach and Emerald Envy card stock, re-inkers and ribbon before April. The clouds are cut from Myths & Magic Glimmer Paper. The pack comes in Iridescent, light green and turquoise.